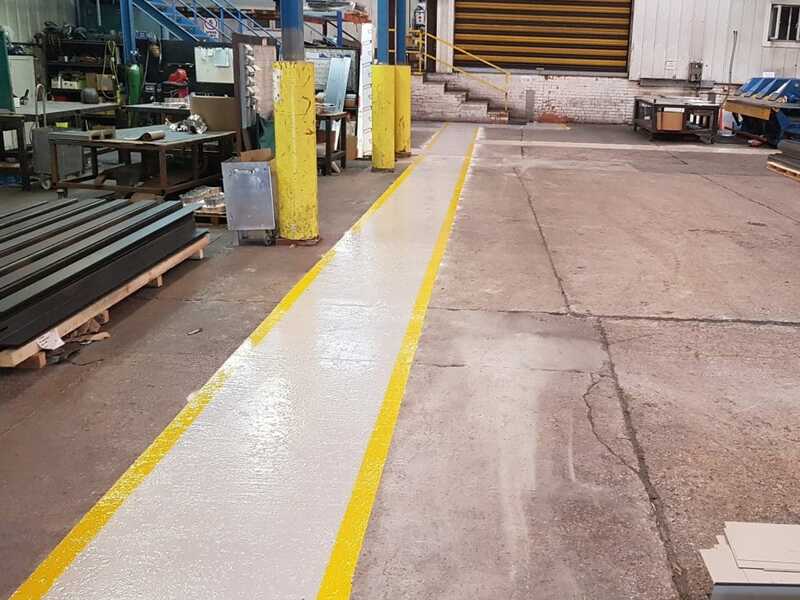 We can install a wide range of heavy-duty resin screeds and coatings in industrial environments, from filling holes in concrete floors to high-performance resin screeds in production areas and plant rooms. Magellan Aerospace, Wrexham. 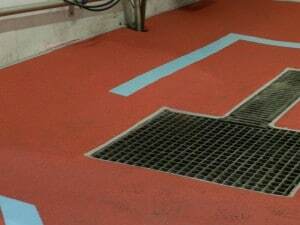 – high-build epoxy resin applied as hatching. Hellermann Tyton, Wythenshawe. 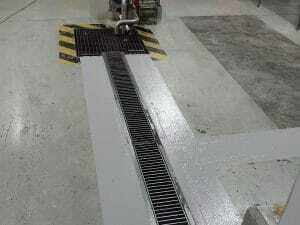 – high-build epoxy resin and resin-based repairs applied in a plant room. click on above image. Indupart, Stockport. 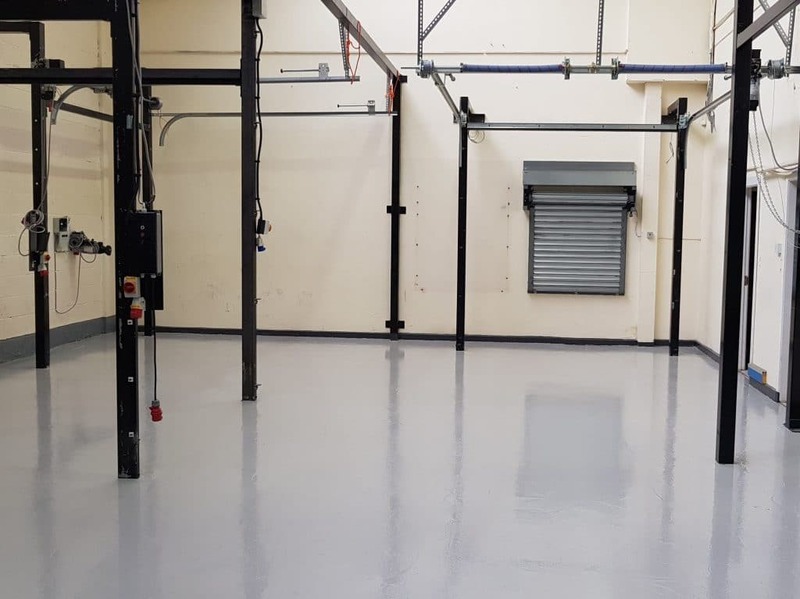 – A training area required a new resin floor finish. 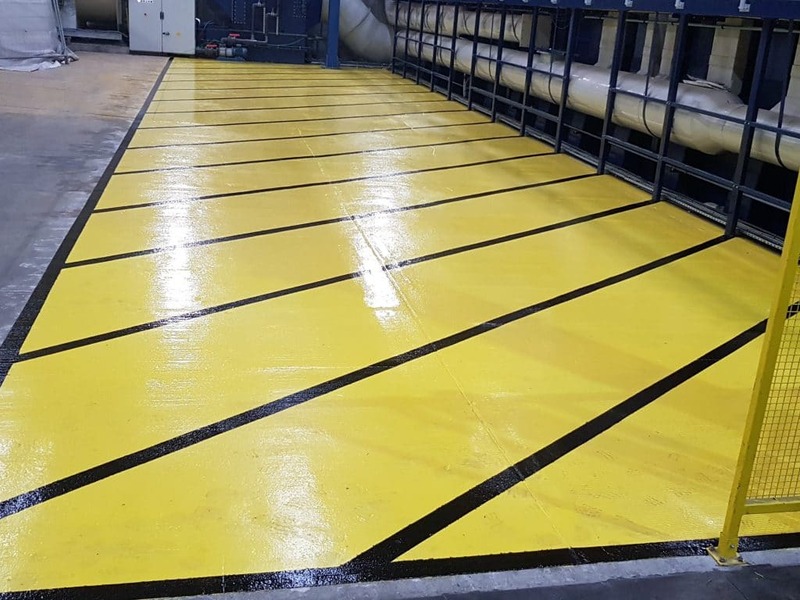 PZ Cussons, Swinton – p.u. screed and coving applied in bund area. click on above image. 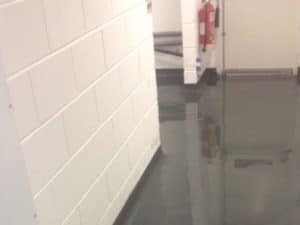 Quest Industrial, Bury. 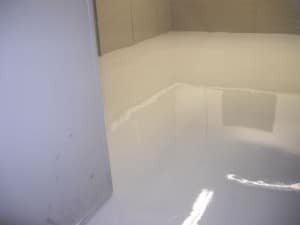 – Self-smoothing Mma resin coatings and coving applied in wash area. Architectural Steel, Trafford Park, Manchester. 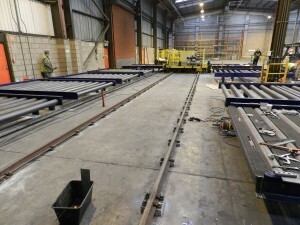 – A factory walkway with tram-lines needed to be created. Dupont, Wythenshawe. 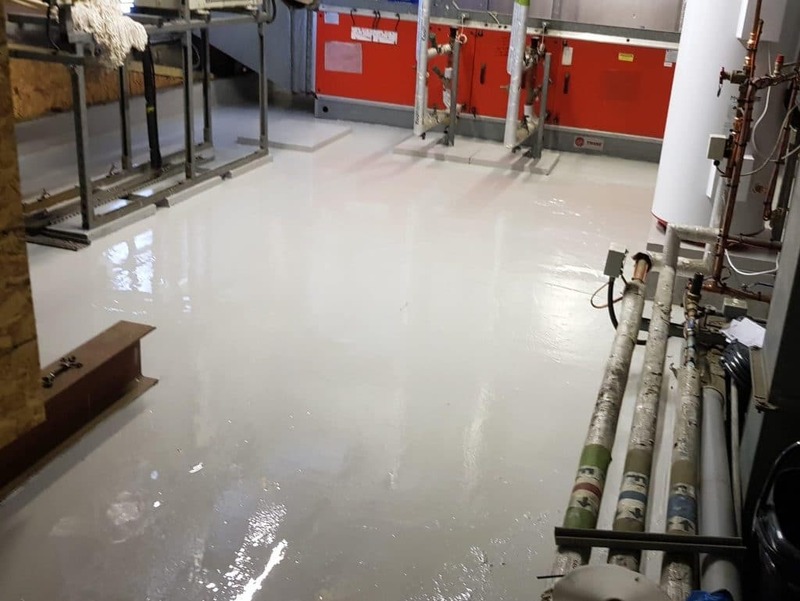 – Self-smoothing epoxy resin applied in a plant room.